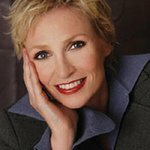 Actress Jane Lynch is to join Woman’s Day Editor in Chief Susan Spencer and Publisher and CRO Kassie Means for the 14th annual Woman’s Day Red Dress Awards. Multi-platinum Grammy Award and Oscar winner Melissa Etheridge will headline with a special musical performance. Other expected guests include: Hoda Kotb, Joy Bauer, Laila Ali, Tamron Hall, Sheinelle Jones, Sarah Stiles, Jenna Wolfe, Alicia Quarles, Lena Hall, Patina Mille and beloved icon Betty Boop. The Red Dress Awards is a night of awards and performances honoring those who have made significant contributions to Heart Health Awareness. This year’s honorees include: Laila Ali, wellness and fitness expert, former world champion boxer, and TV personality and advocate for the American Heart Association; Janine A. Clayton, M.D., Associate Director for Research on Women’s Health, and Director, Office of Research on Women’s Health at the National Institutes of Health; LaQuitta “Shai” Wilkins, Miss Black Alabama USA 2016, Pediatric ICU Travel Nurse, and Heart Health advocate; and Holly Andersen, M.D., Scientific Advisor for the Women’s Heart Alliance, Attending Cardiologist at The New York-Presbyterian Hospital, and Director of Education and Outreach at the Ronald O. Perelman Heart Institute. The Awards will feature additional performances from rock all-female string-quartet Bella Electric Strings, and teen singer Carly Rose Sonenclar of The X Factor. Woman’s Day is proud to partner with lead sponsor CocoaVia and sponsors Mayo Clinic, Vionic, The Quaker Oat Company, Rosa Regale Red Sparkling Wine, Lands’ End, and Lenox Tableware & Gifts. Participants of the fourth annual Woman’s Day Live Longer & Stronger Challenge will attend alongside their mentor, TODAY Show nutritionist and Woman’s Day columnist Joy Bauer and experts from the Mayo Clinic. Over the course of eight months, Woman’s Day, Bauer and the Mayo Clinic have provided nutrition counseling and guidance to five women who have collectively lost more than 226 pounds and have achieved impressive heart health milestones. 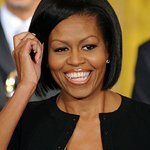 Neiman Marcus Last Call will provide dresses for the women to help celebrate their transformations.